인도는 WTO의 무역원활협정(TFA) 승인을 거부하였는데 인도내의 식량 안보와 농업 정책을 지키기 위해서였습니다. 인도는 자국의 농민들로부터 최저가격을 보장하여 식량을 확보하고 그것을 싼 가격에 빈민들에게 되팔고 있는데 자국의 농업 정책과 식량 안보가 보장되지 않자 승인을 거부한 것입니다. 인도의 이러한 태도는 UN의 IFAD로부터 지지를 받았다고 합니다. 반면 우리나라는 쌀시장을 전면 개방한다는 소식이었는데요. 정부에서는 외국에서 들여오는 쌀에 높은 관세를 매기겠다고 했지만 사실상 이것은 끊임없이 상대 국가들과 논의를 해야 하고 현실적으로 농민들을 보호해주지 못하기 때문에 농민들로부터 큰 반발을 사고 있다는 내용이었습니다. Ramesh(규홍): 우리나라도 벼농사로 지정된 땅은 그린벨트 같이 다른 용도로 사용할 수 없는 제도가 있다고 한다. 쌀 개방에 관해서는 이해관계가 크게 엇갈리는데 정부에서 하고 있는 농업보호정책에도 관심을 가지는 것이 중요할 것 같다. Neeta(현정): WTO 협상이 한편으로 강대국들의 힘의 논리에 의해 지배되는 것 같아 안타깝기도 하다. 식량 안보를 지키는 것은 국민들 삶에 필수적인 것이라고 생각한다. 농산물이 하나씩 개방될 때 마다 우리는 점차 다른 나라에 의존하게 되고 결국 우리 농가가 힘을 잃는다면 우리 생활의 근간이 무너지는 것이라고 생각한다. 때문에 인도가 자국 농민을 보호하고 농업 안정화를 위해 WTO협상을 거부한 것에 대해 대단히 용기 있는 행동이었다고 생각하고 지지한다. Lino(순걸): 식량도 언제부터인가 지켜야 하는 대상이 되었지만 자본의 논리에 묻혀가는 듯 하다. 국가는 다른 국가와의 이해관계를 따져가며 국가를 운영해야 하는 경우도 있겠지만 우선은 국가를 형성하고 있는 국민과의 이해관계가 우선일 것이다. 국가에서 중요한 것이 국민과 주권이 아니라 자본과 다른 국가와의 관계인 것이 안타깝다. Sreunu(보람): 쌀 시장개방에 대하여 인도와 한국의 기사를 함께 보면서 이야기를 나누다 보니 뭔가 조금 다른 느낌이 들었다. 인도의 경우 쌀시장에 관해 security의 입장에서 생각하는 반면 한국의 측면은 뭔가 쌀 시장을 지키는 것이 아닌 그냥 쌀을 사고 팔 개념으로서 밖에 보이지 않는다. 농민들이 반대해도 결국 쌀시장은 개방되겠지만, 중요한건 최소한의 틀이라도 지켜져야 한다는 것이다. 모두가 공감했던 것은 아무리 세계화와 더불어 무역 시장이 개방되었다고 해도 최소한의 식량 안보와 농민들의 삶은 보장이 되어야 한다는 것이었습니다. 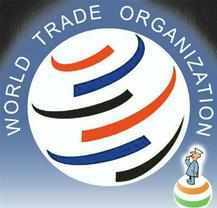 NEW DELHI: Supporting India's tough stand at WTO on the food security issue, UN body for development of agriculture IFAD on Monday said ensuring food for its people is more important than creating jobs in certain other nations. "Creating jobs for some other country, while people are still hungry, doesn't make sense... If I was in the position of feeding my own family or creating jobs for someone else, what would I do? What would you do?," International Fund for Agriculture Development president Kanayo Nwanze said. "The bottom line is that every government has the responsibility to ensure that it can feed its own people," he said while replying to a question whether he supports India's tough stand in the World Trade Organization. Echoing similar sentiments, IFAD's country director for India Nigel Brett said India has a big task to feed its people. "You have a population of 1.2 billion people. You have a mammoth task in your hand of feeding people...in this case government has to do everything what it can do to feed its population in the interest..."
India decided last week not to ratify WTO's Trade Facilitation Agreement (TFA), which is dear to the developed world, without any concrete movement in finding a permanent solution to its public food stock-holding issue for food security purposes. The current WTO norms limit the value of food subsidies at 10 per cent of the total value of foodgrain production. However, the support is calculated at the prices that are over two decades old. Nwanze is on a 5-day official visit to India to meet various various ministers including finance minister Arun Jaitley and rural development minister Nitin Gadkari, to discuss about how rural transformation and gender empowerment and how they are vital for reducing poverty. IFAD, a specialized agency of the United Nations, was established as an international financial institution to finance agricultural development projects for food production in the developing countries. The government has decided to fully open the rice market to imports. It will put an end to caps on rice imports in 2015 and instead manage imports through tariffs to protect domestic farmers. Korea has been facing rising pressure to open its rice market ahead of the expiry of a 20-year-old agreement on import quotas with the World Trade Organization. The only WTO member nations that have not opened their market to rice imports are Korea and the Philippines. The government has been in talks with the WTO over the issue and decided there was no alternative but to open up to imports of the staple grain. Even if it refused, it would have to increase the import quota two or three-fold. The mandatory import quota has grown by 20,000 tons every year and now accounts for nine percent (409,000 tons) of Korea's total annual consumption. An Agriculture Ministry official said, "The government's view is that opening the rice market and imposing tariffs on imports would have a smaller impact on domestic farmers than boosting the mandatory import quota." What the tariffs will be is unclear. The government will not talk about specific figures because it still has to negotiate the matter with the WTO. But experts believe a tariff of some 400 percent, or roughly four times the price of imported rice, would ensure imported rice is more expensive than locally-grown varieties. Fierce opposition is expected from farmers and other agricultural lobby groups.